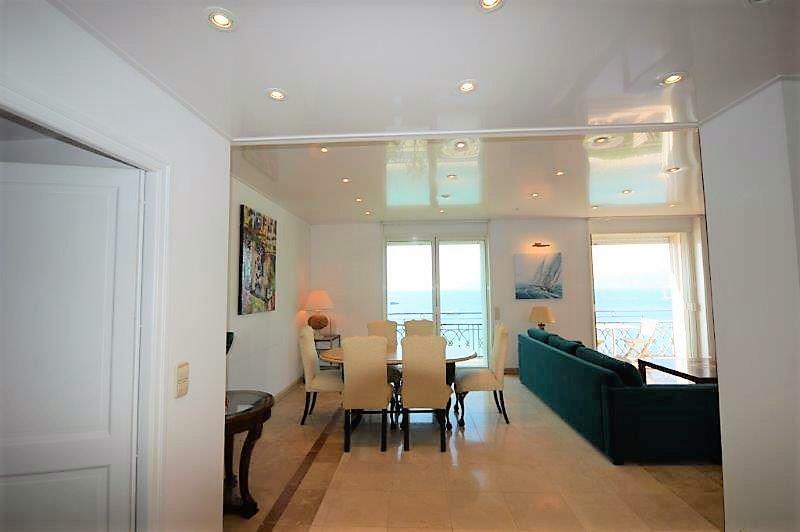 Extremely well located on the famous Boulevard de la Croisette, this waterfront 3-bedroom Cannes penthouse is only 10 minutes walk from Palais des Festivals! 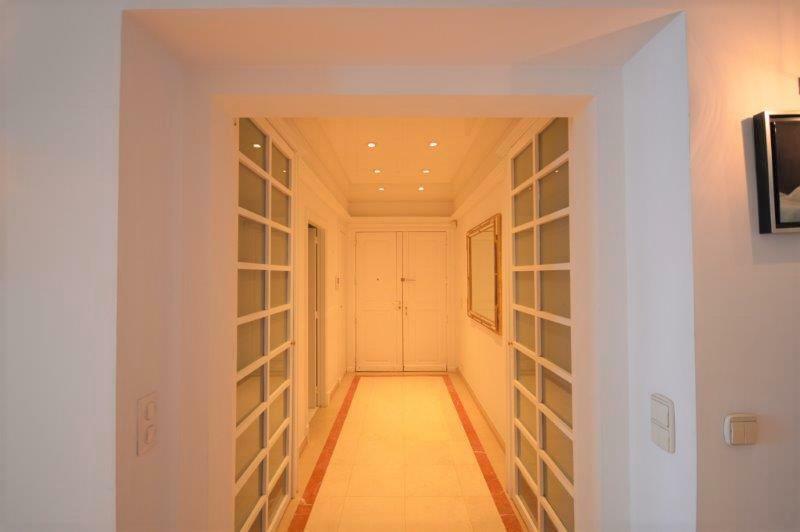 For an exclusive, luxurious, and chic accommodation in Cannes where you can enjoy the liberty of entertaining guests in your own home, this is a great place to stay. 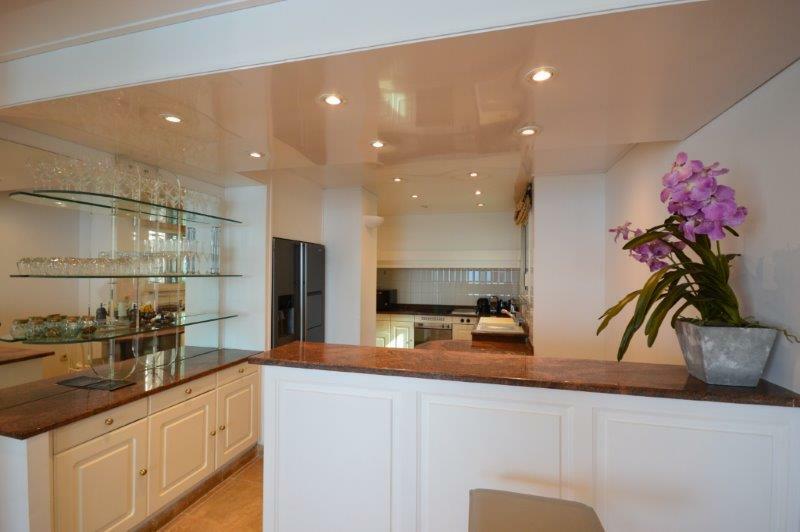 Staying on the Boulevard de la Croisette is the height of luxury and a sure sign of a good stay when in Cannes, due to both its central location as well as the high-class apartments and penthouses you'll find, much like this one. Imagine attending panels and meetings at the Palais des Festivals all day and you can come home to a refrigerator fully stocked with beer, local French wine and rosé, French cheese, and the best snacks for an evening aperitif, all for you and your team. 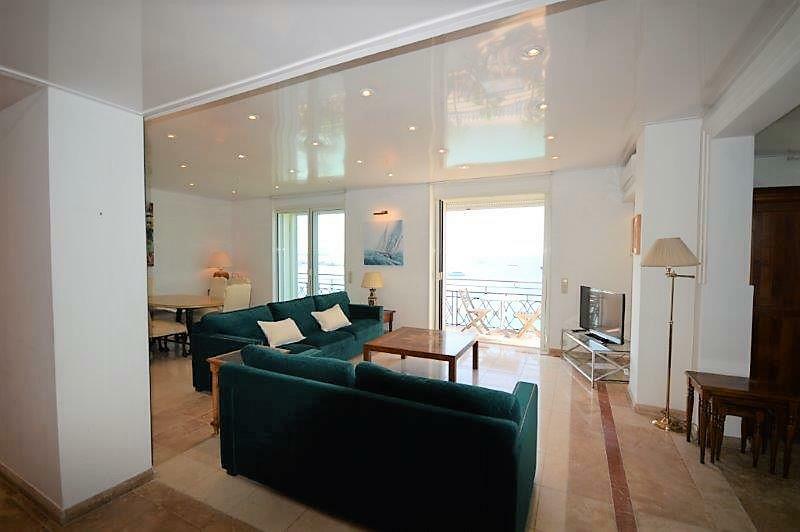 A long balcony, accessible from the living room and the master bedroom, offers panoramic views of the Mediterranean sea. 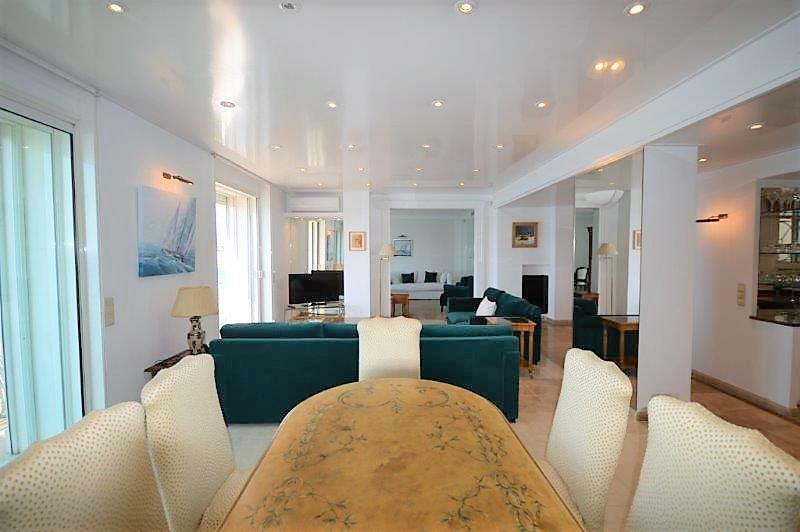 Here you can enjoy some of the most extensive views of the Cannes bay in the city. The living room is elegantly decorated with designer velvet sofas and couches and comes with a dining table and a fully-equipped open kitchen. 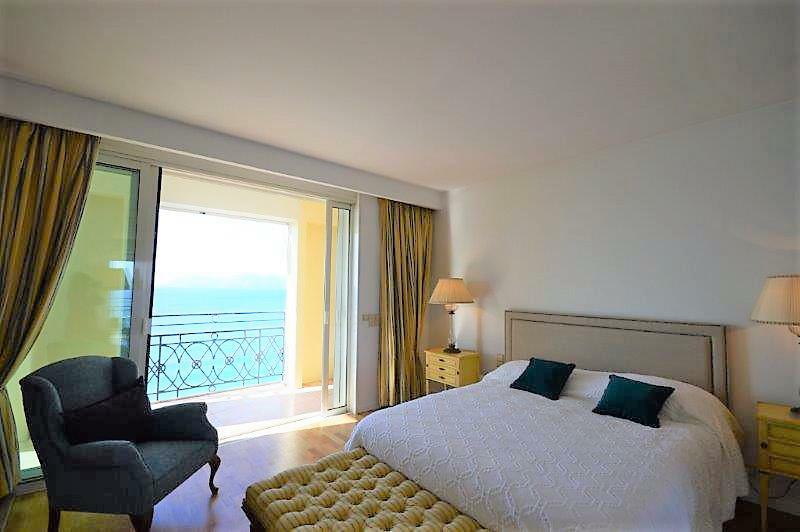 The sea view bedroom is furnished with a double bed and is by far the most desirable bedroom to claim in the apartment. The other 2 bedrooms are interior-oriented and come with 2 single beds each, making for a comfortable stay for 5-6 delegates. 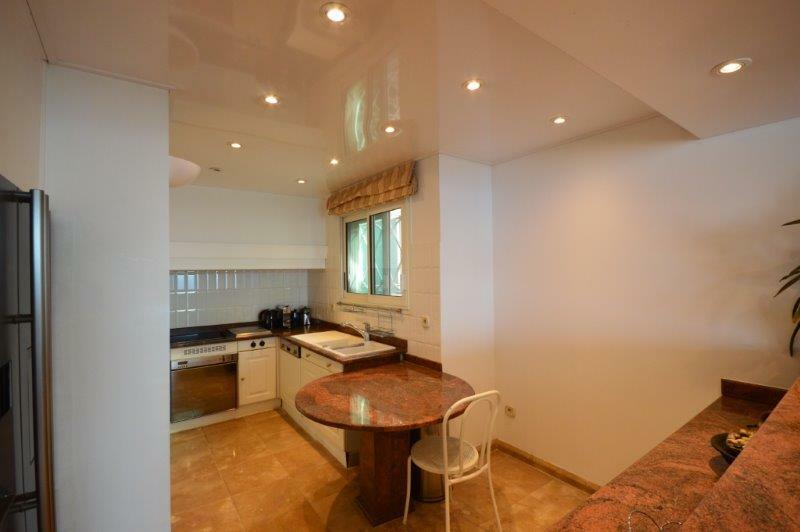 There is also an extra possibility to accommodate another person in the guest room with a sofa bed and views of the sea. Additionally, the apartment also has a personal laundry room with a washing machine to provide the highest comfort for you and your team during your upcoming Cannes conference.